Some of the week’s highlights — in photos! Austrian skydiver Felix Baumgarter stopped by the United Nations this week. Here he signs the guest book for Secretary-General Ban Ki-moon. 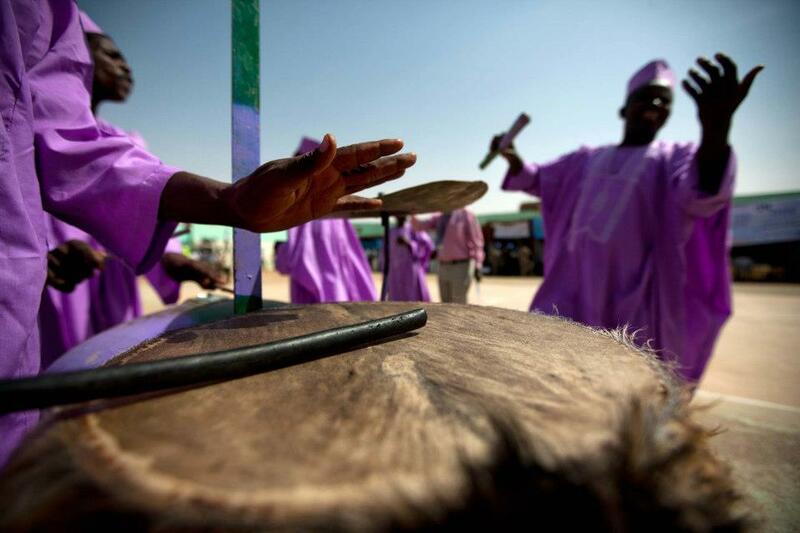 Photo credit: UN Photo/Rick Bajornas. 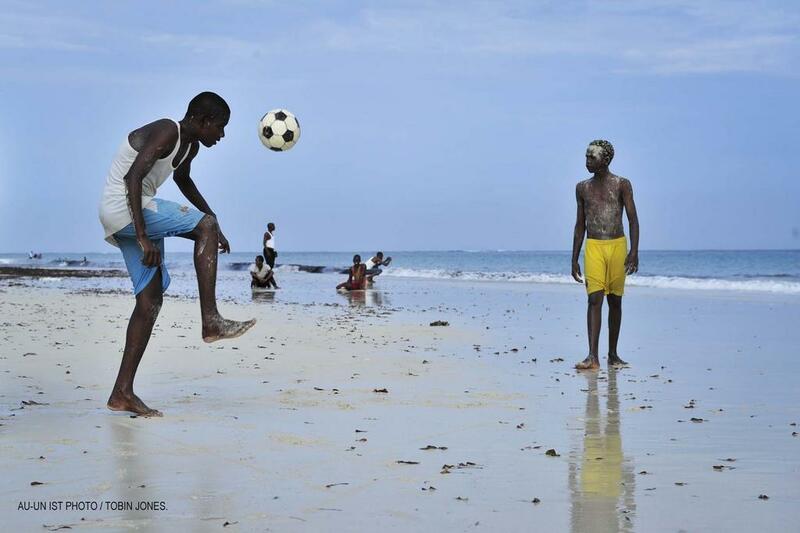 Our colleagues working for the UN Political Office for Somalia (@UNPOSomalia) posted this photo on their Twitter account of children playing on Lido Beach in Mogadishu. 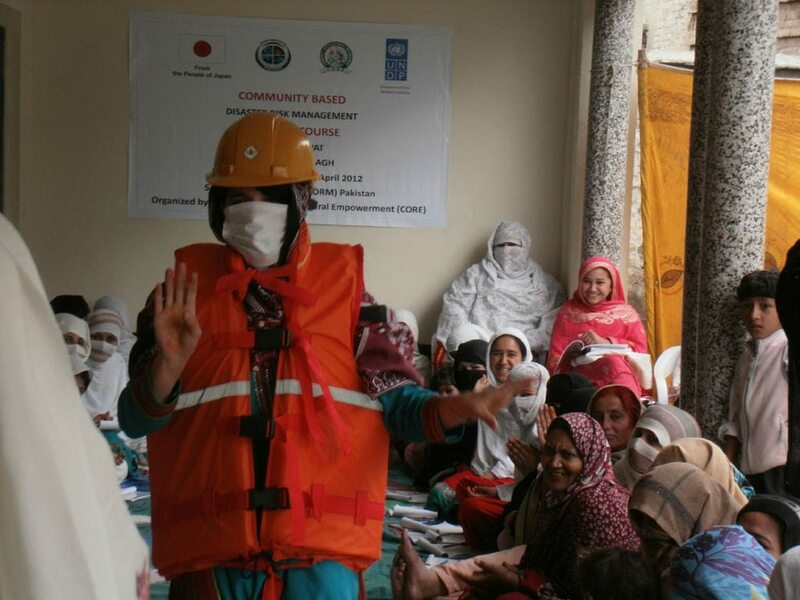 Women trainers at Disaster Risk Management workshop in Swat, Pakistan. Our UN Development Programme (UNDP) colleagues in Pakistan posted this picture and many more on their Twitter account. 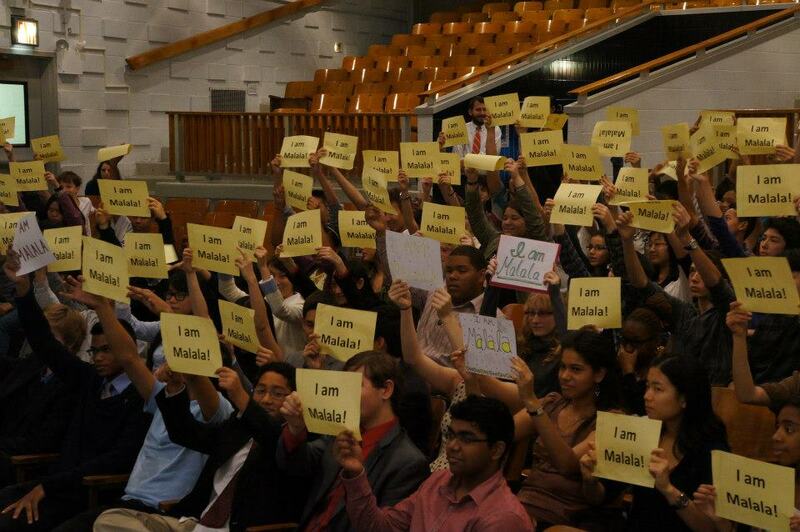 In an act of solidarity with Malala Yusufzai, the 14-year-old Pakistani girl injured in an assassination attempt on her way home from school in October, students at the NEST+m school in New York City carried signs saying “I AM MALALA,” to reaffirm the right to education for all. Our colleagues at United Nations Visitors Center posted this picture and many more on their Facebook page. 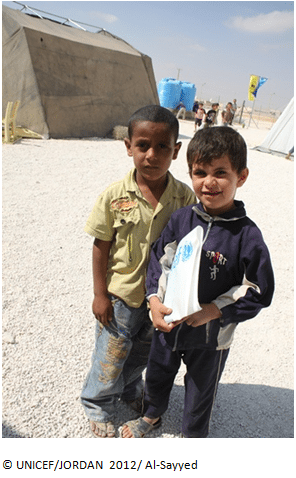 Boys in Zaatari, Jordon on their way to school with their UNICEF books. Our colleagues at UNICEF MENA posted this picture and many more on their Twitter page. 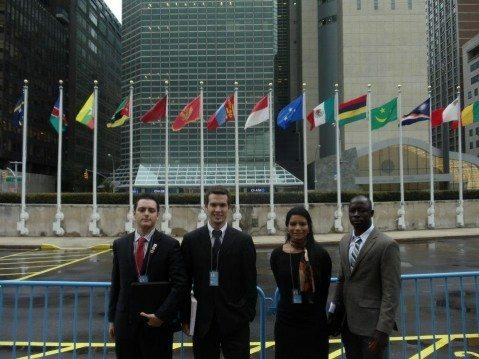 Four Utah Valley University students in New York City for the UN General Assembly. Thanks to Kaili Spear (@kailispear) for sharing this photo and article. United Nations Mission in Darfur (UNAMID), UN agencies and the people of Darfur gathered in North Darfur to celebrate the 67th anniversary of the UN — also known as UN Day. Our colleagues at UNAMID posted this picture and many more on their Facebook page. See more highlights from around the world in our Storify post. 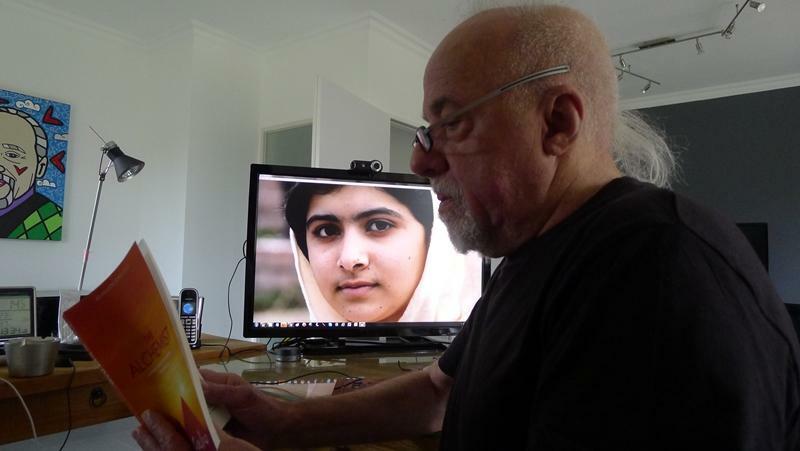 Writer and UN Messenger of Peace Paulp Coelho (@paulocoelho) has joined in the “Girl with a book” campaign inspired by Secretary-General Ban Ki-moon. See how you can take part, too! 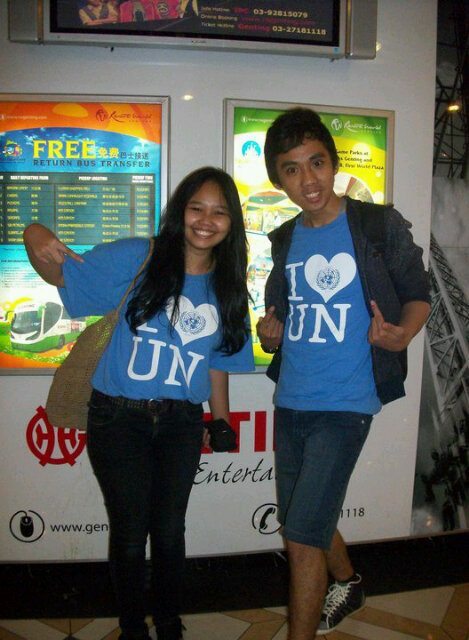 Thanks to @anindyavivi for sharing and showing this photo from Indonesia in support for UN Day. 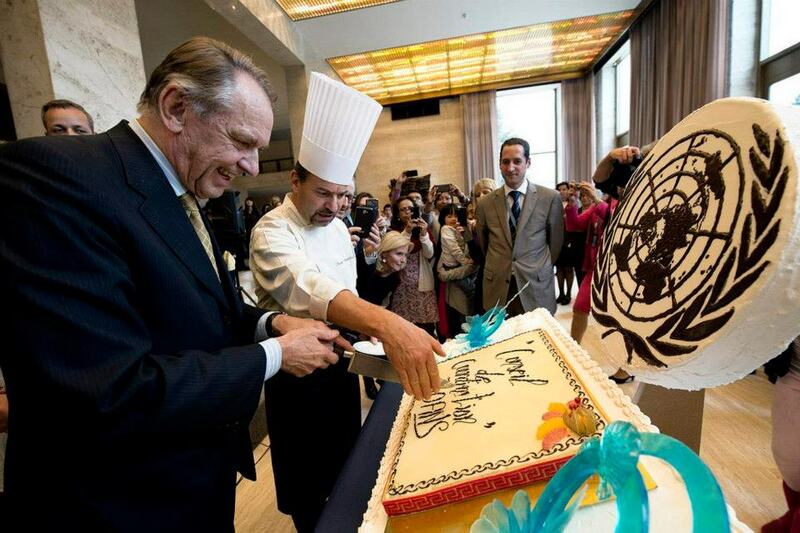 Deputy Secretary-General Jan Eliasson was on hand in Geneva last week to take part in UN Day events. Our colleagues at the UN Geneva Information Service posted this picture and many more on their Facebook page. 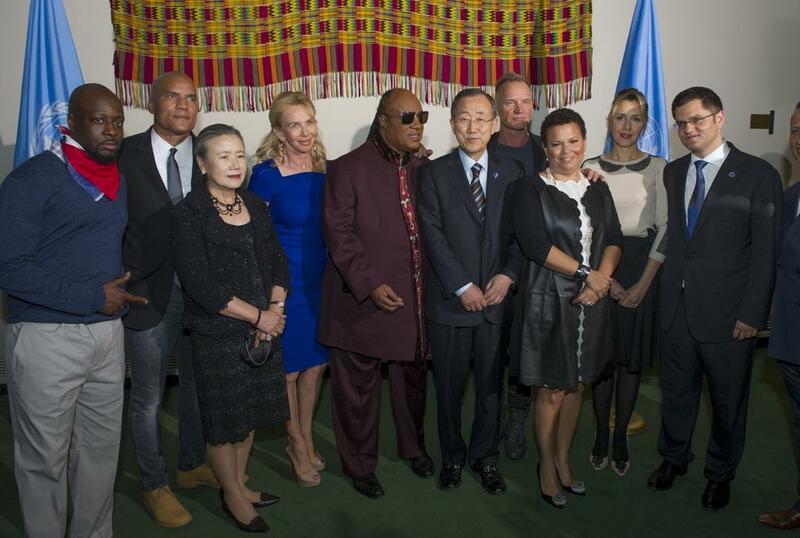 In celebration of UN’s 67th anniversary the 2012 UN Day Concert: “A Message of Peace featuring Stevie Wonder” took place in the General Assembly Hall at UN Headquarters in New York. Thanks to General Assembly President Vuk Jeremic (@UN_PGA) for sharing this picture of distinguished guests and UN officials on his Twitter account. More on the concert here. What’s happening at the General Assembly on Thursday?